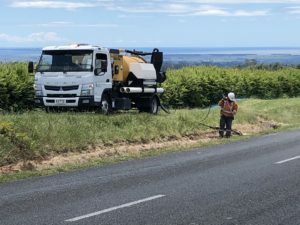 FNNZ has a custom built Vacuum Truck used for hydro excavation for damage free service finding, managing directional drill fluid and controlling pump station and pipe lines. The 420hp Scania is spec’d to load 22,000 litres per minute and includes a 3,000 psi water blaster and 12,000 spoils tank. 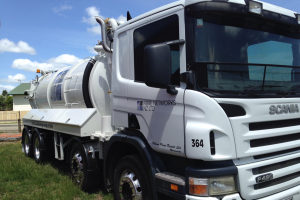 This truck has a dedicated operator, and is available FOR HIRE. Booking enquiries via our contact page. 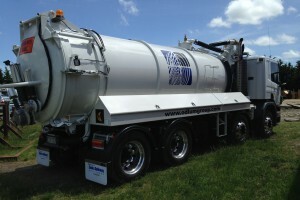 “Little Sucker” (Hydro Excavation Truck). Good for tight spaces and smaller jobs. Little Sucker can control the water table, helps with control for water main cut-overs, as well as used for control of drilling fluids.